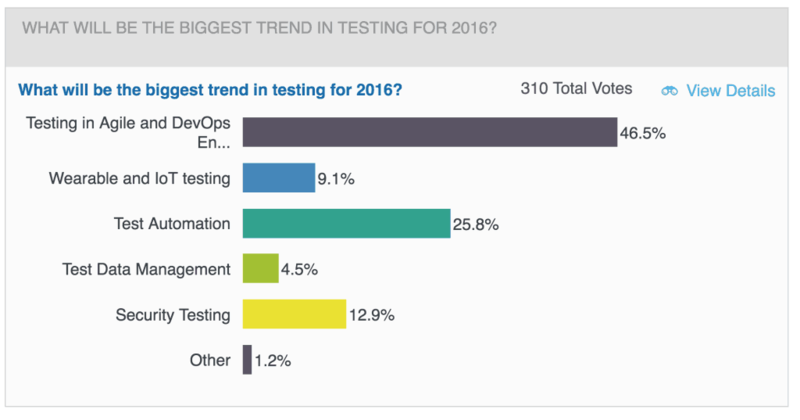 1) “Software Testing in Agile and DevOps Environments” is the biggest trend for 2016. The attendees for the webinar took a survey and told us that the big trends for the year would be related to agile testing and DevOps environments. Clearly, there’s a lot of change happening in development teams being driven by agile transformation. Coming in second with 26% was “Test Automation”. This poll shows us the increasing pressure on testing teams to work faster and more efficiently. With the explosion of smart devices (watches, cars, houses, etc.) out there, the focus will be on “the big mesh” – how these things all work together. This will create great opportunity for testers to ensure software quality across different environments and devices. There will be a lot more software to test than ever before. There will be big growth in the healthcare IT sector in the coming year as healthcare providers invest in software systems to manage medical records. 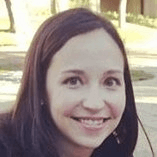 Traditionally, there have not been a lot of testers in the healthcare field. This is rapidly changing, creating big opportunity for ambitious testers to build testing functions in these healthcare companies. Yahoo made a lot of news lately about eliminating test and QA. You can read about it here. Contrary to popular opinion, Yahoo did not eliminate testing, they just changed the approach. They will continue to test their applications. However, this move does show that as a tester, you have to continually demonstrate the value of your work or risk becoming a commodity. In 2016, there will be a move from raw test data to actionable intelligence. Testers will have to show how the data they are generating will help drive strategic business decisions. It’s not just about “pass/fail”. It’s about the impact to the business. Agile used to be a methodology used by small companies or teams. But, as Agile has grown into the enterprise, companies are looking closely at issues related to scale. As a result, you are seeing the emergence of the “Agile Center of Excellence” in many large companies. These COEs will help drive agile best practices throughout the organization. With the proliferation of software, manual testing will continue to grow. The “automate everything” idea is not grounded in reality. Virtually every kind of testing will continue to grow in the future. If you were not able to attend the webinar, click here to watch it on-demand. Make sure to check out our upcoming webinar, “Scaling Test-First Methodologies for the Enterprise,” featuring our VP of Strategy and Business Development Kevin Dunne. We hope you can join us for this webinar. Click here to register.